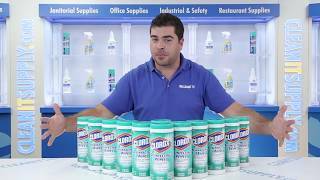 Handy Clorox disinfecting wipes can be used anywhere. One-step Clorox cleaning and disinfecting. Bleach-free formula kills 99.9% of bacteria, including staph and salmonella. Clorox Company is a name you can trust for quality cleaning products. Ideal for day care centers, offices, schools and restaurants as well as in homes. 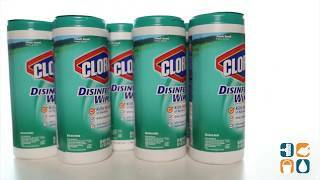 With these low, discount prices, you can't afford not to stock up on Clorox Disinfecting Wipes today!